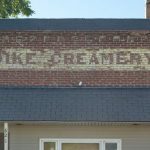 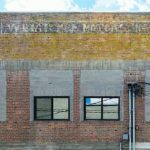 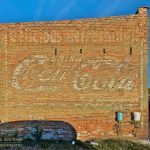 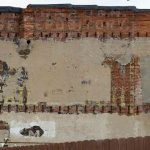 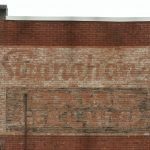 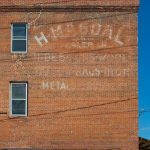 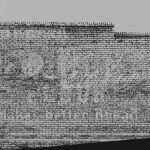 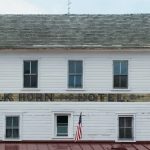 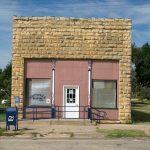 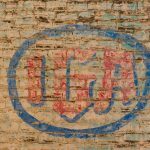 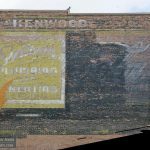 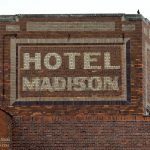 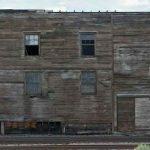 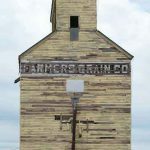 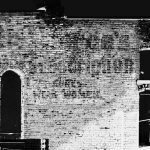 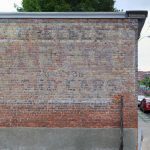 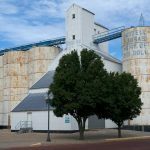 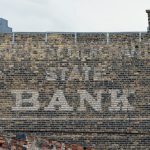 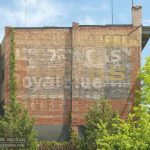 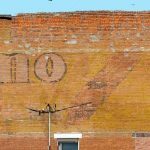 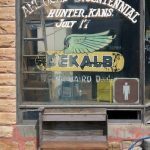 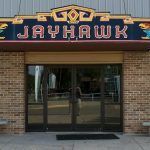 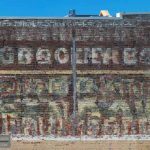 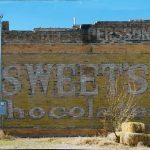 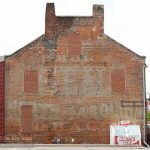 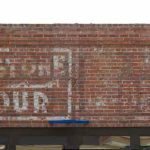 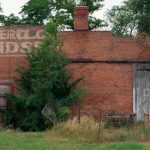 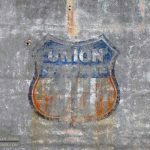 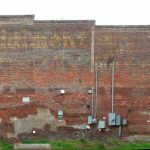 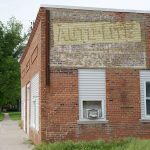 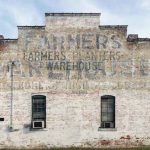 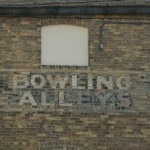 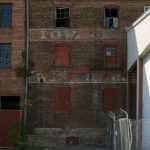 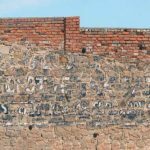 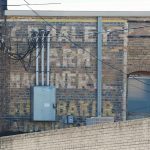 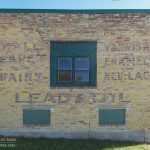 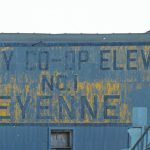 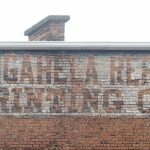 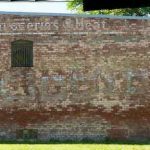 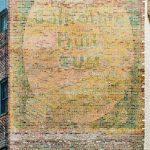 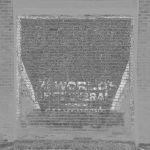 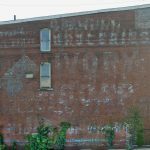 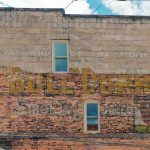 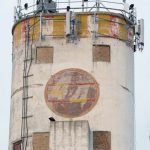 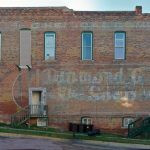 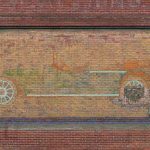 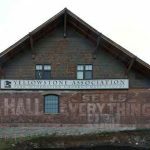 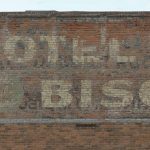 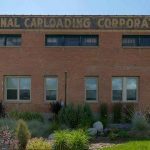 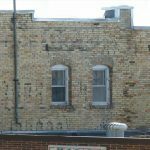 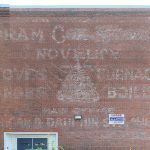 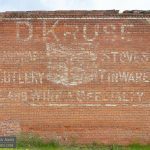 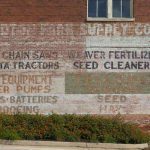 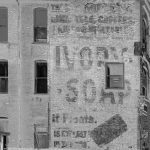 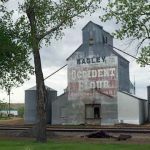 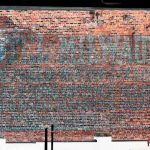 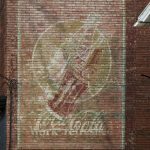 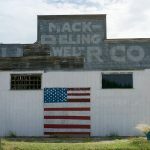 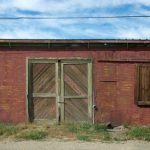 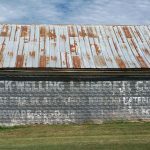 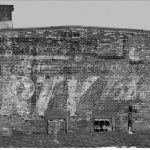 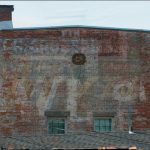 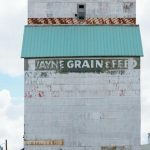 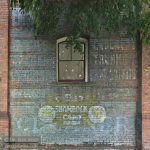 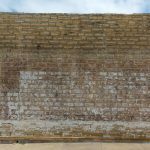 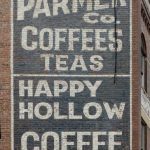 I have updated my ghost sign database to include over 300 new ghost signs from Iowa, Kansas, Missouri, Montana, Nebraska, Illinois, and Wyoming. 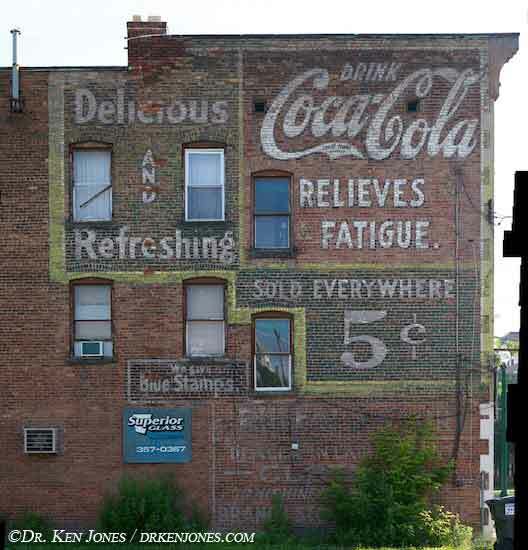 There are a few re-shoots with better lighting conditions, but mostly these are new additions. 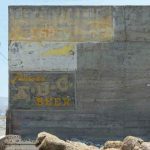 These signs were photographed between 2015 and 2017. 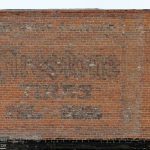 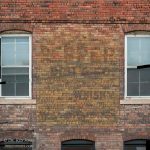 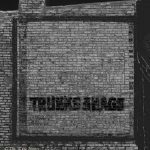 Below is a sample of the newly added ghost signs. 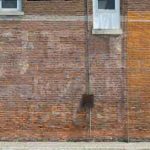 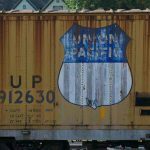 To see the entire database, go to http://www.drkenjones.com/ghostsigns/USMap.php. 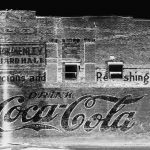 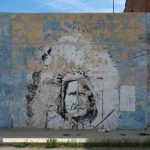 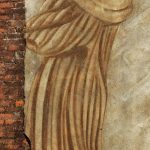 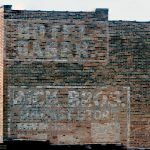 Although I flip-flop between ghost signs and rock art, I use the same photographic and enhancement techniques for both. 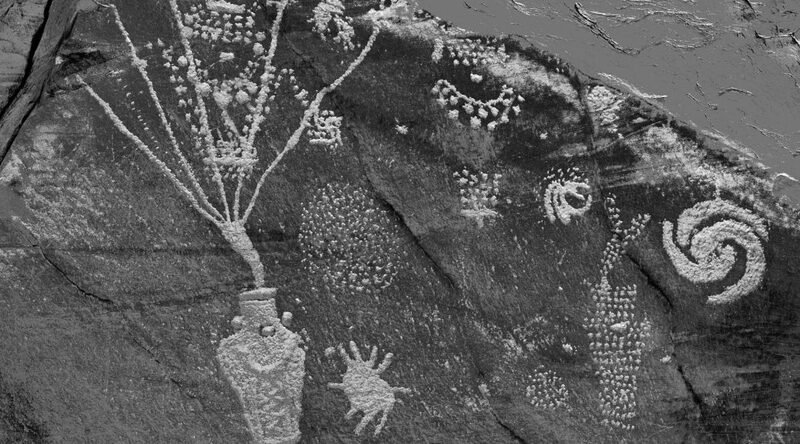 This example is a well-known location in Dinosaur National Monument. 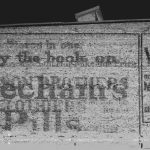 The two enhancements emphasize different things. 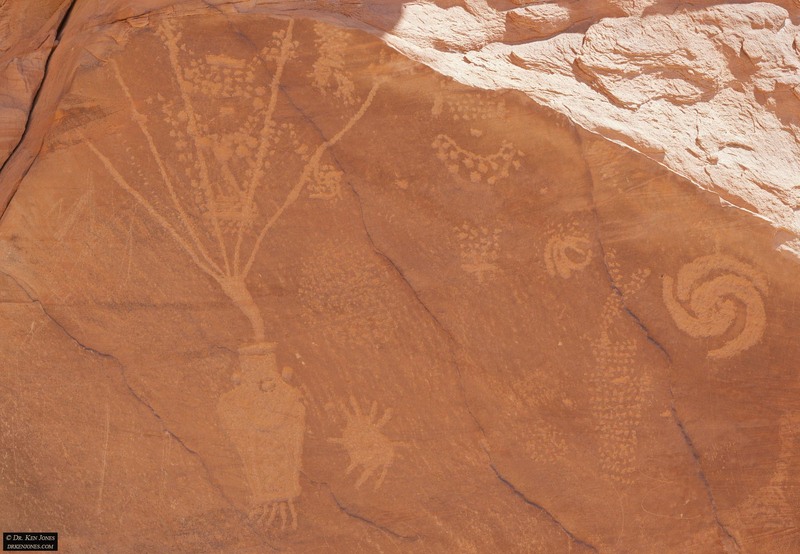 The first brings out details such as the texture in the “flower pot”. 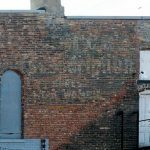 The second emphasizes the scratched vandalism. 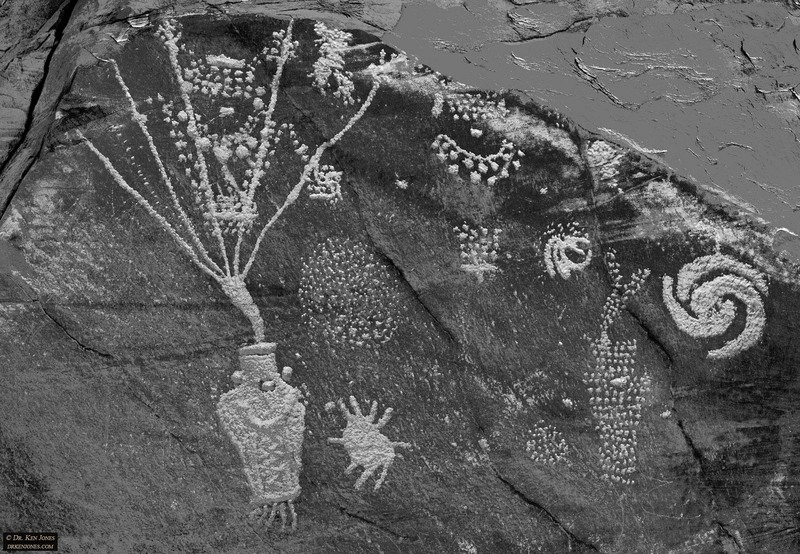 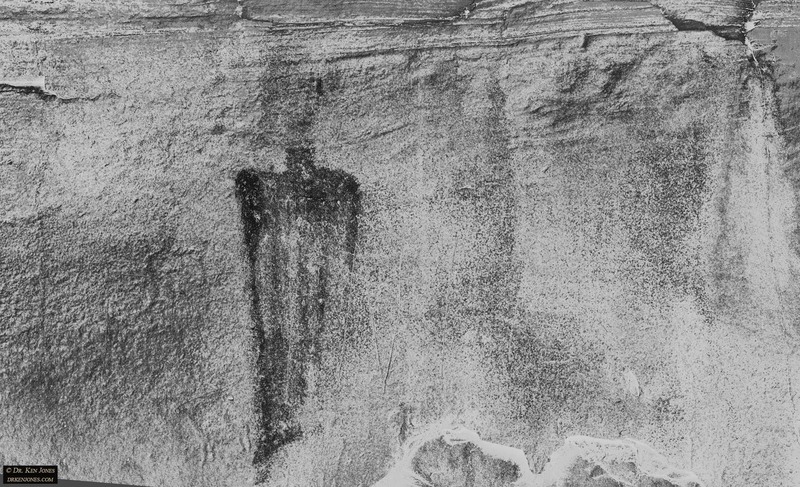 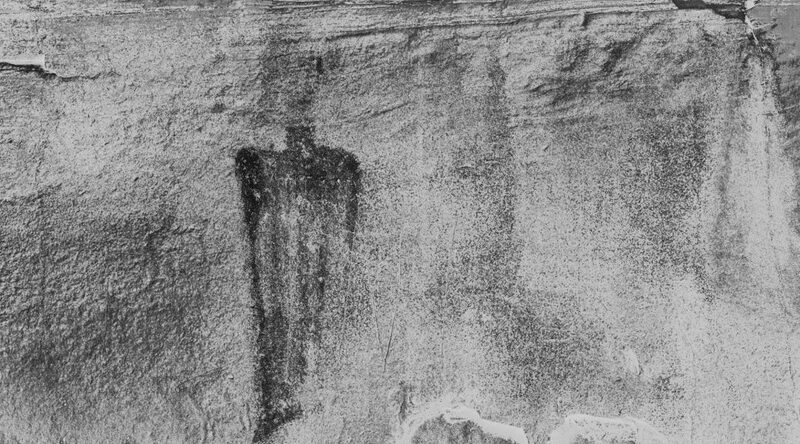 The second example is from the Rock Art site south of Rangely, Colorado. 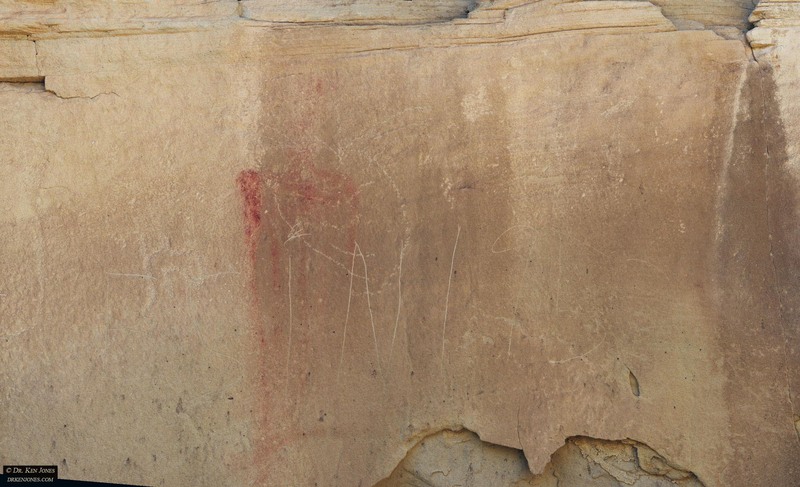 This example of Barrier Canyon style painted rock art is both faded and vandalized. 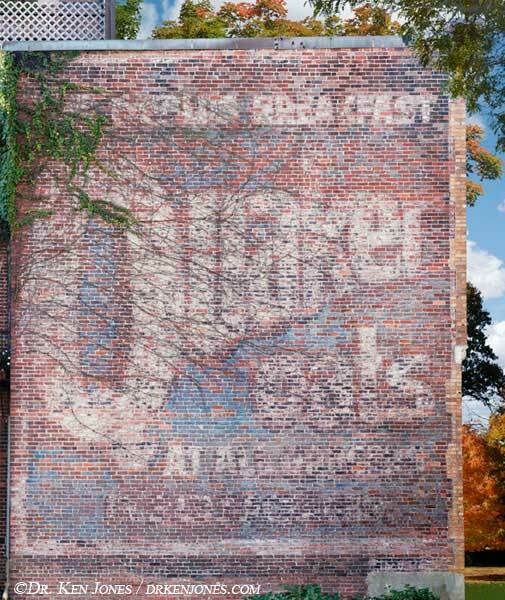 The enhancement emphasizes the red pigment and minimizes the scratches. 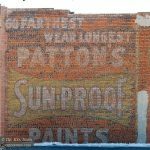 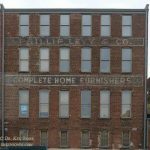 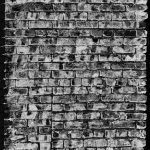 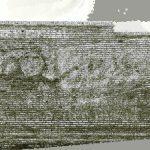 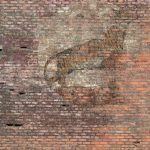 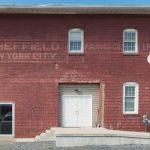 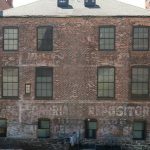 I just added around 600 more ghost signs to my database. 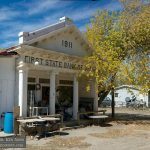 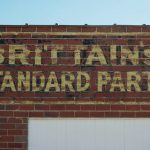 These were signs I photographed in 2014, plus a few from 2015 and 2017. 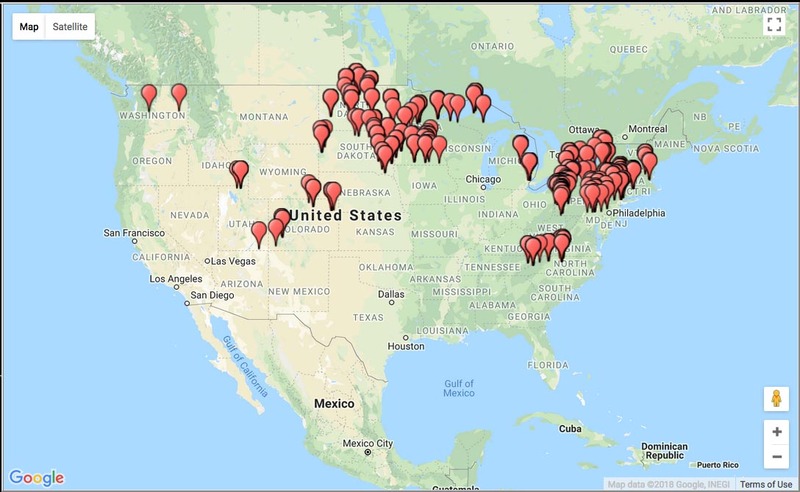 The map shows where these newly added signs are located – mostly New York, Pennsylvania, Minnesota, Wisconsin, Michigan, and Connecticut. 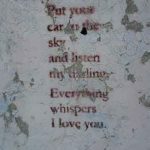 There are a few others scattered around. 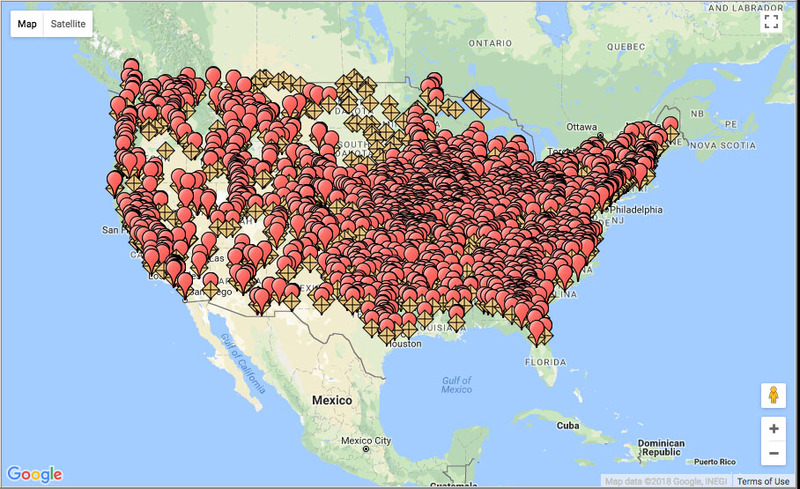 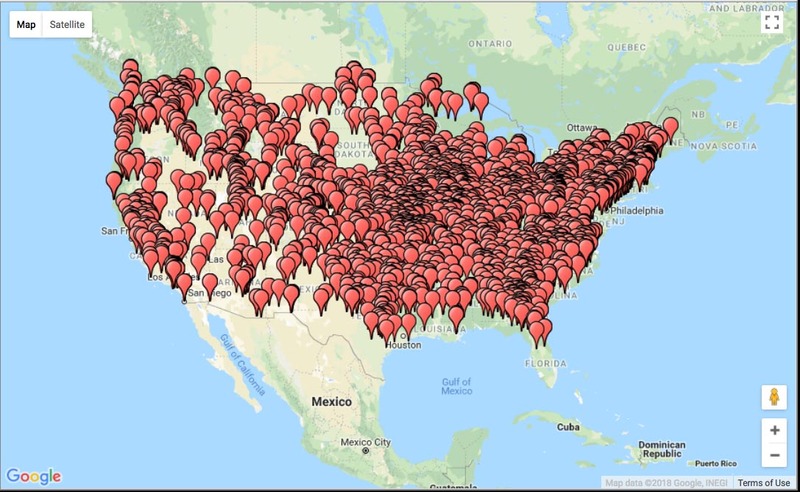 The map below shows the complete coverage of ghost signs in the database. 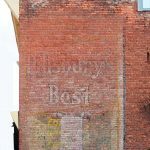 It contains around 7300 ghost signs. 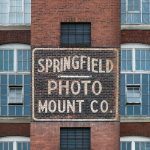 I still have another 1000 to add that I have already photographed. 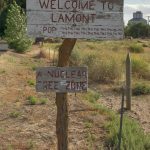 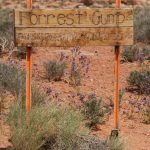 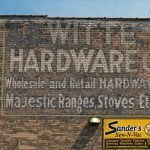 Here is a gallery of some of the more interesting (and pretty) signs that I just added. 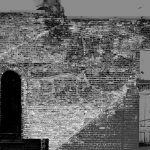 I have included some enhancements so you can see the separate layers. 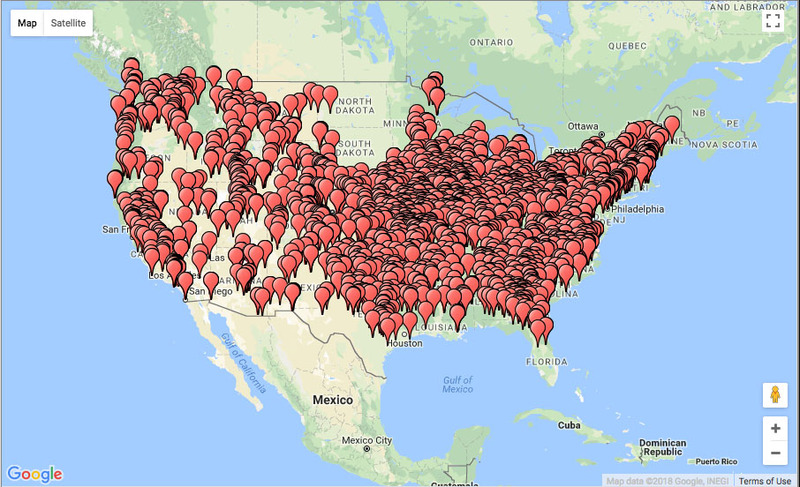 If you want the signs’ locations, click on the map at the top of the left column of this page. 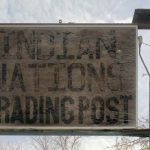 That link takes you to the database. 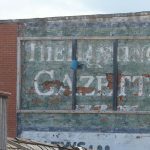 The previous sign advertised carriages. 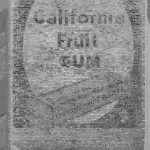 Here is a real one on the street! 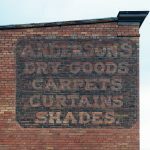 I’m starting a series where, for ghost signs I have photographed, I will show examples of the products themselves which I have found on Ebay. 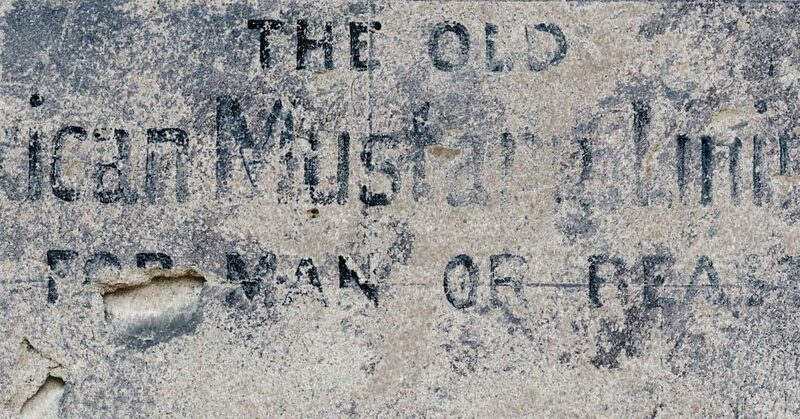 The first is for Mexican Mustang Liniment. 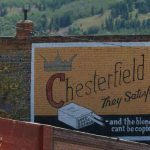 I found this great sign on a side street in Virginia City, Nevada. 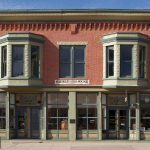 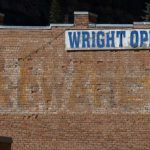 Virginia City is the mining town associated with the Comstock Lode, the largest silver deposit found to that time. 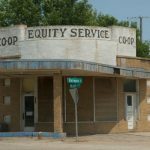 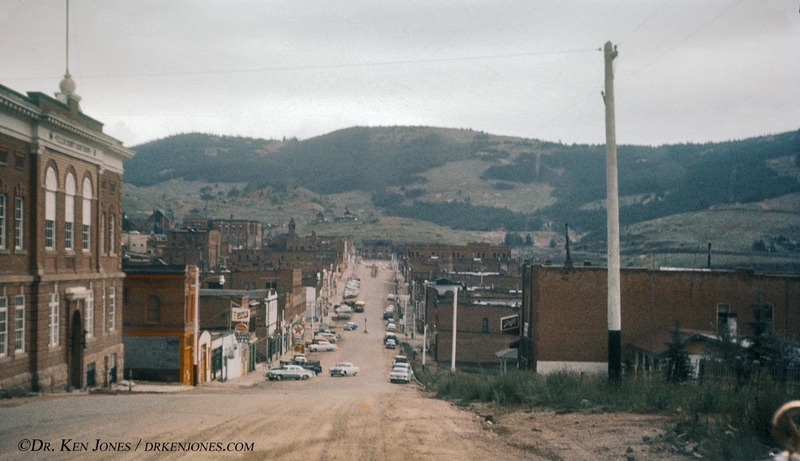 The town went through the typical boom and bust cycle, peaking in the 1870’s. 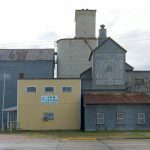 The town is also notable because it is where Mark Twain started his writing career. 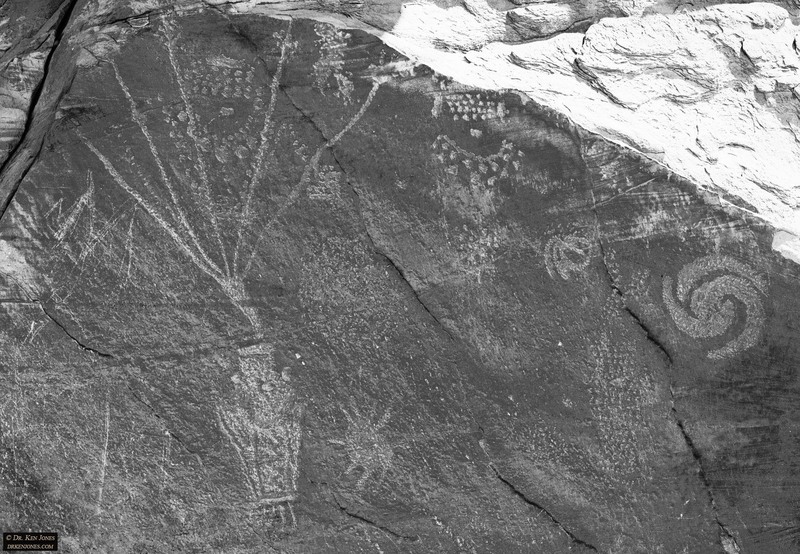 Today, it is an active tourist destination. 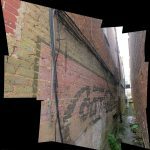 Penetrates to the ROOT of …. 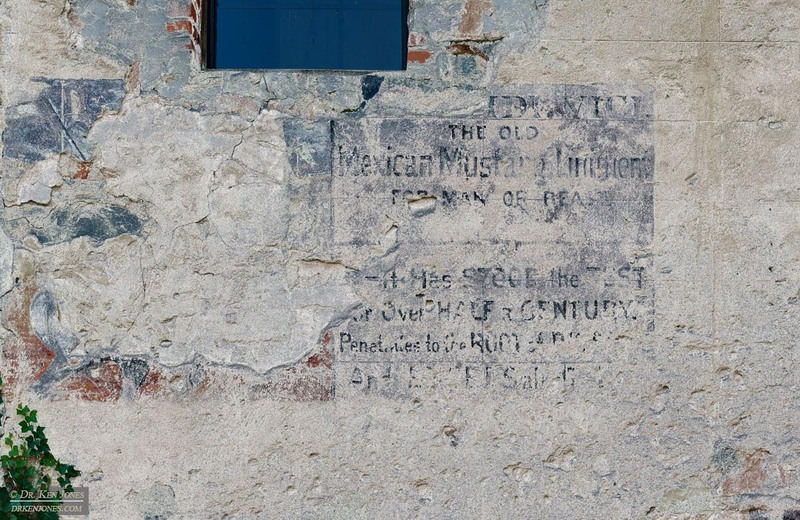 Mexican Mesquite Liniment was started in 1830 and later purchased by a New York company. 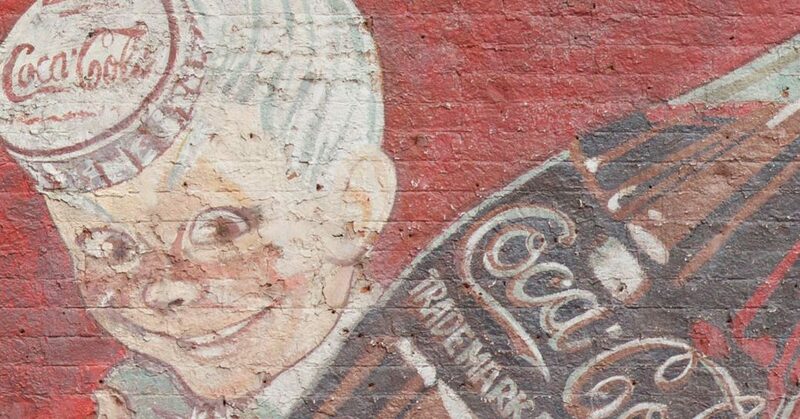 There was some residue in the bottle I purchased and it smells like some yucky petroleum product. 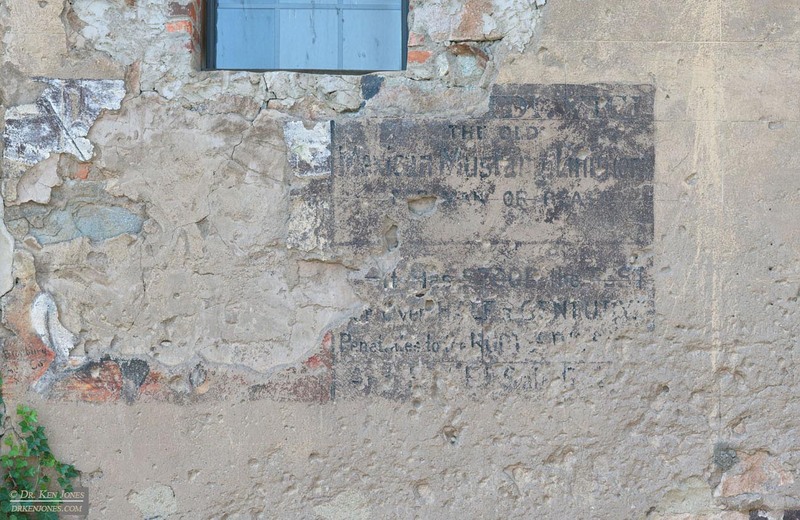 This bottle is from after 1923 based on the information shown on the paper label. 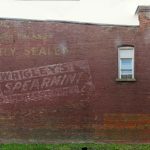 Where else would something named Mexican Mustang Liniment be made than Brooklyn, NY? 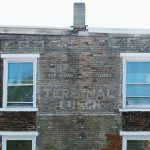 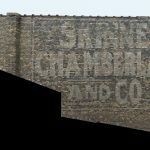 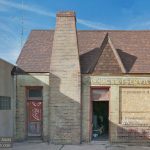 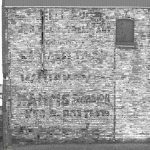 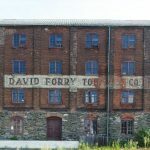 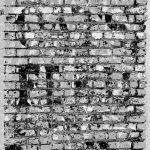 I have updated my database of ghost signs I have photographed. 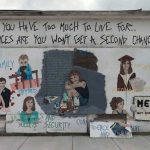 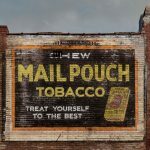 I added around 800 new signs, mostly in Connecticut, Georgia, Virginia, and West Virginia. 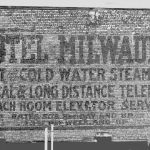 There are also many signs from Milwaukee from 2013. 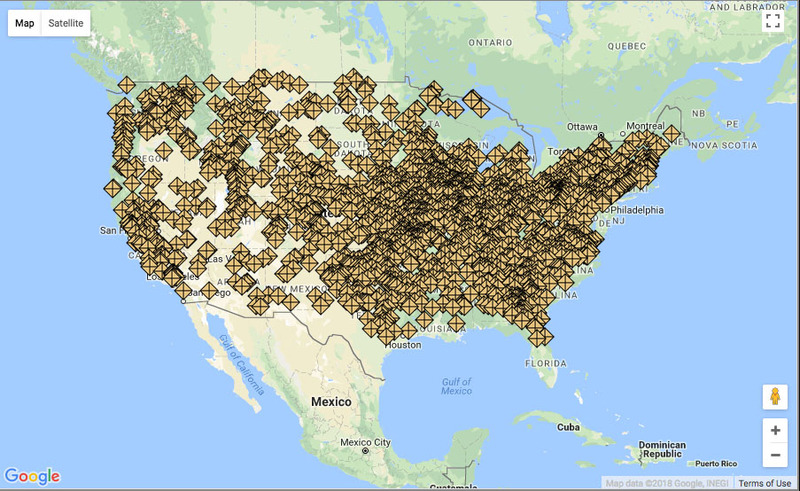 Here are maps showing the extent of the United States I have photographed. 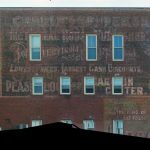 The red markers indicate ghost signs that are now available on my database. 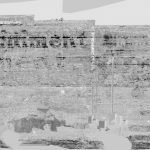 Click here to get started browsing. 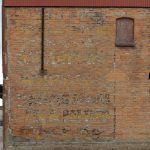 The brown diamonds are towns where I have photographed ghost signs. 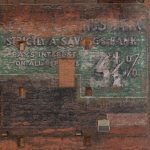 I am currently working on adding approximately 1500 more signs to the database. 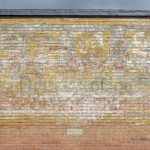 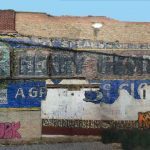 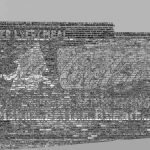 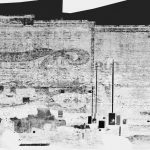 This overlay of photographed ghost signs and cities where I have photographed ghost signs. 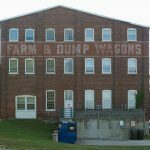 There are many in the Dakotas that needed to be added. 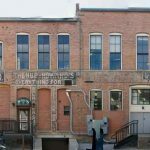 I found this newly revealed sign in Denver. 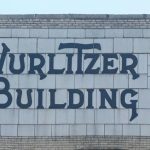 I had been by the same location last year, and it was not there. 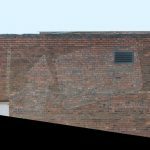 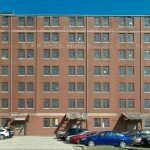 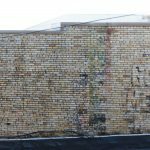 Google Street View shows that it was revealed when the surfacing on the building was removed during remodeling. 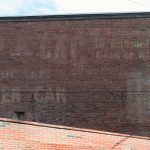 So, while, as shown in the last post, many ghost signs are disappearing, others are reappearing. 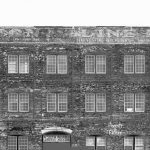 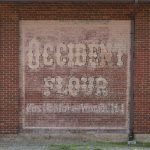 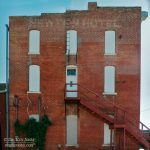 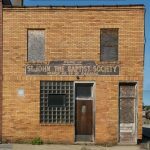 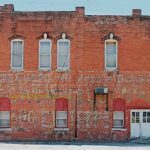 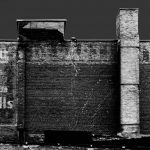 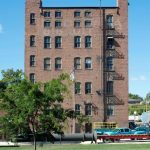 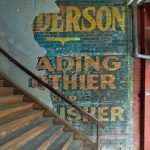 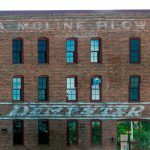 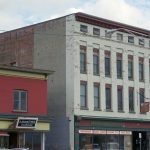 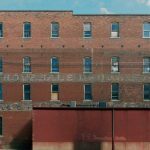 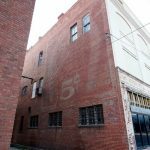 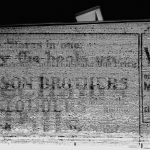 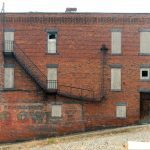 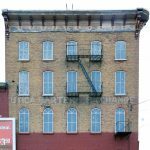 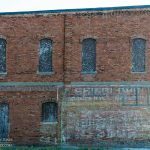 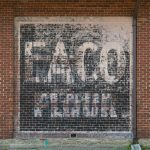 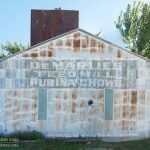 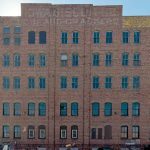 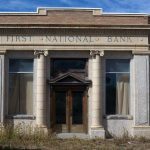 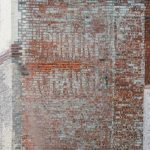 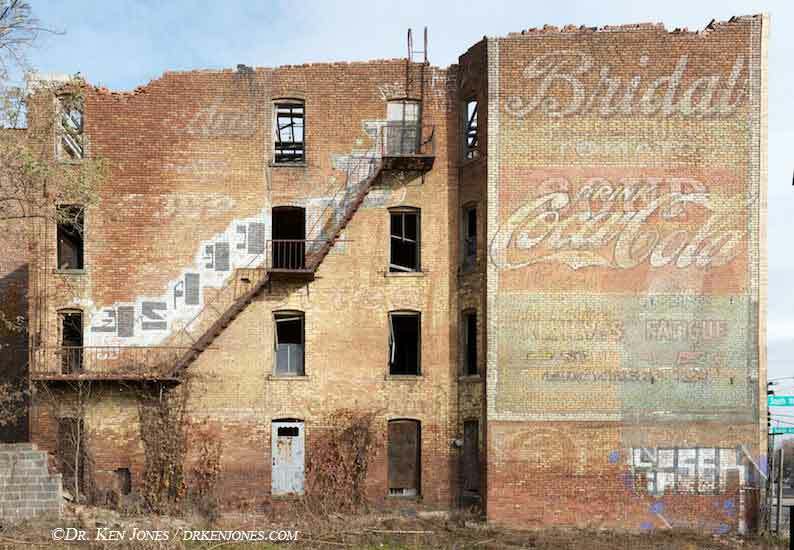 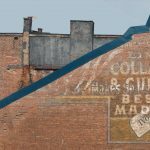 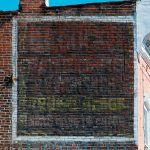 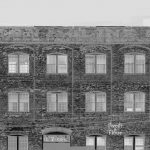 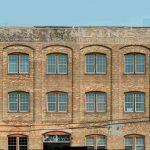 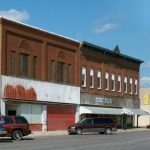 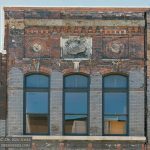 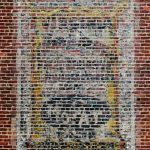 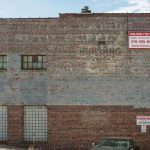 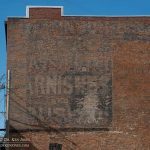 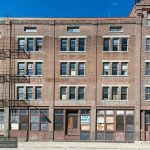 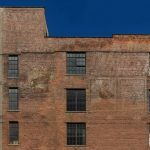 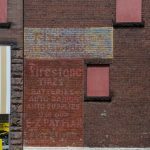 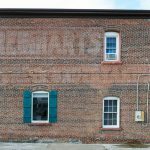 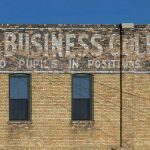 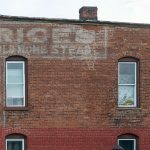 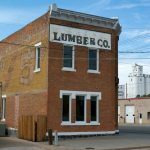 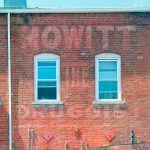 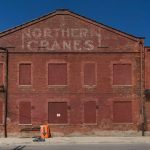 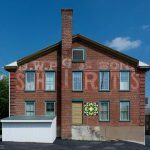 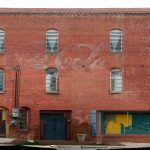 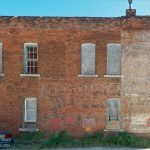 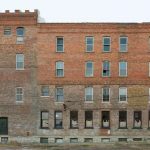 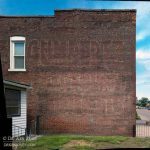 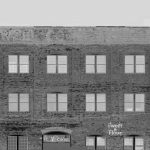 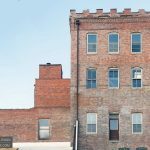 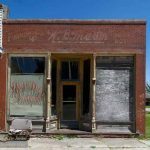 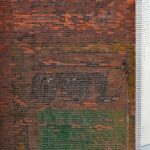 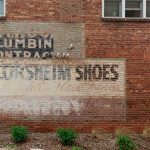 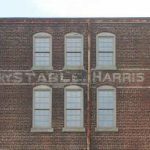 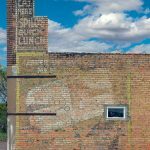 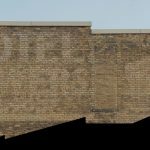 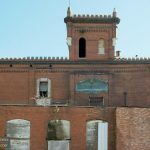 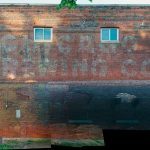 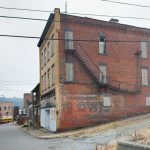 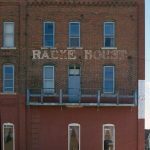 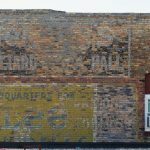 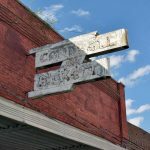 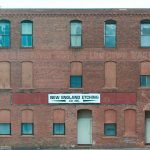 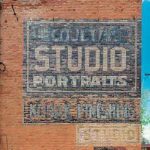 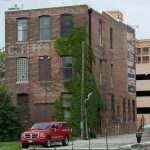 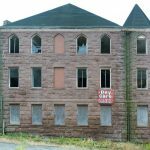 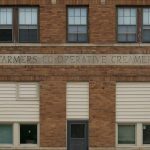 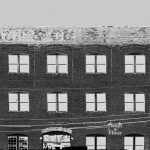 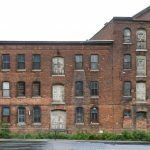 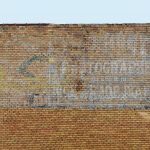 When I started photographing ghost signs in 2009, it occurred to me that, as the economy came back from the recession, buildings would start being renovated or torn down. 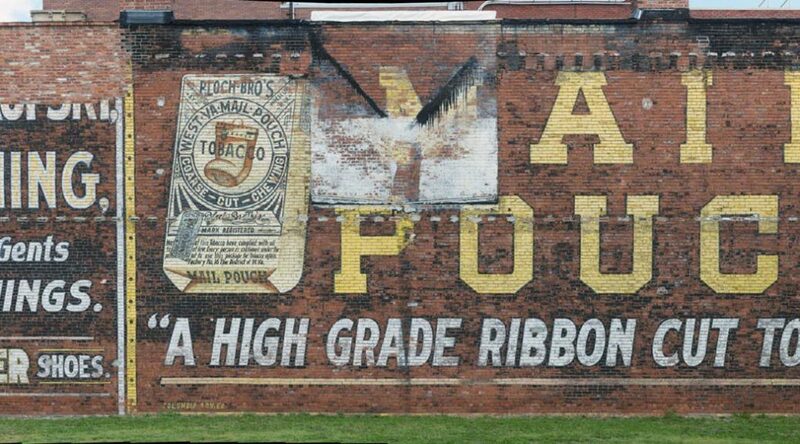 Of course, I was correct. 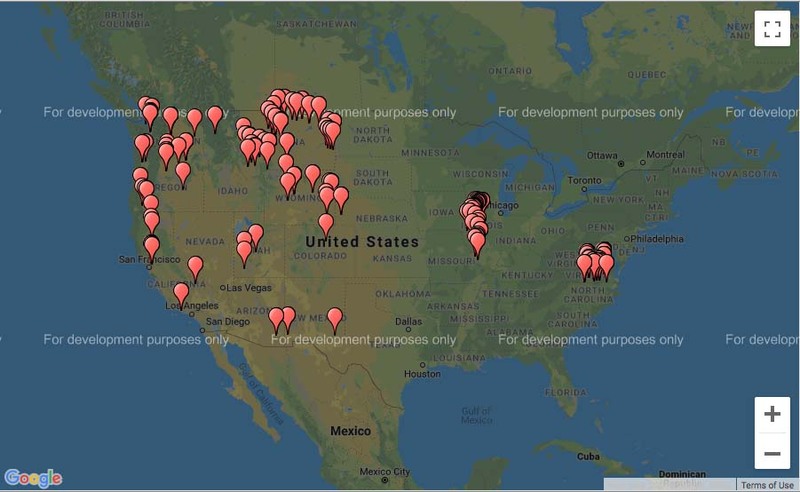 As I update my database to include the most recent Google Map formats, i have found some that are now gone. 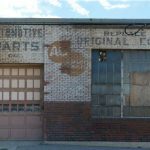 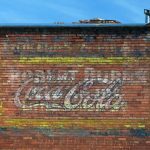 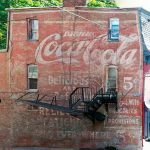 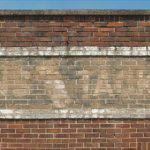 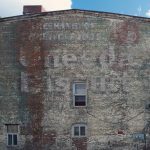 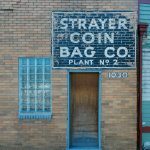 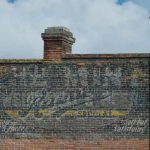 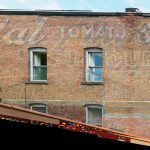 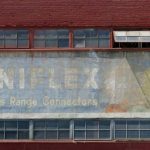 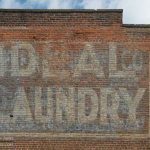 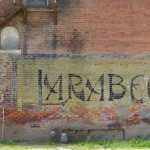 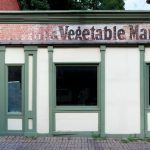 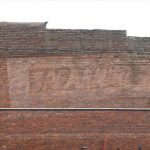 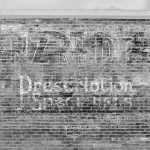 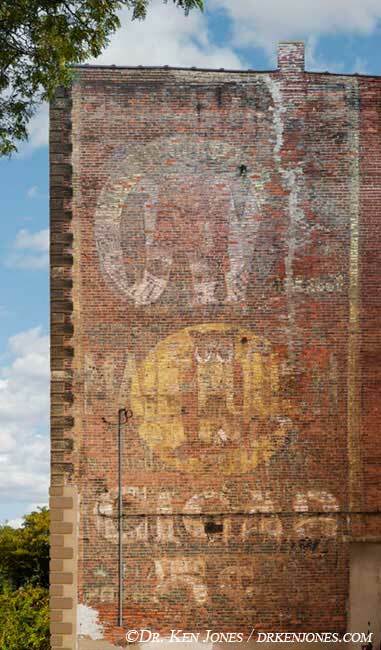 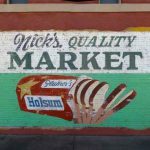 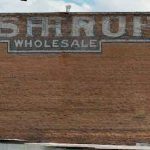 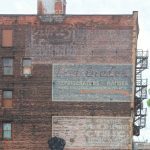 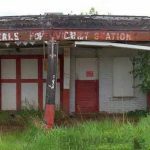 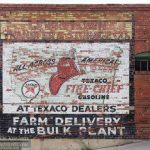 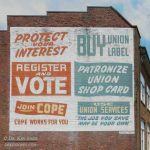 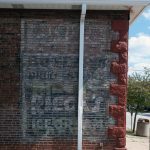 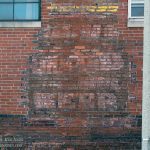 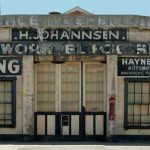 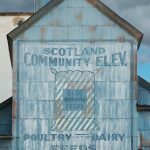 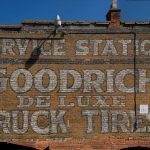 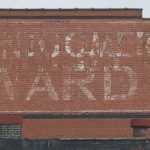 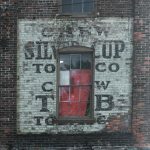 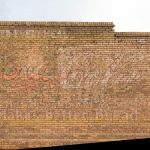 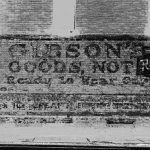 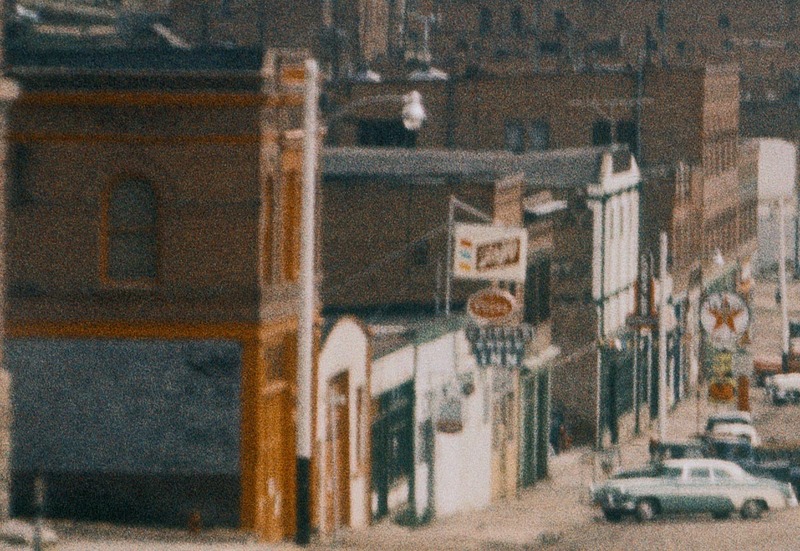 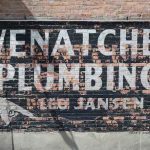 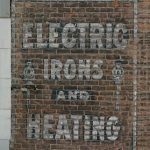 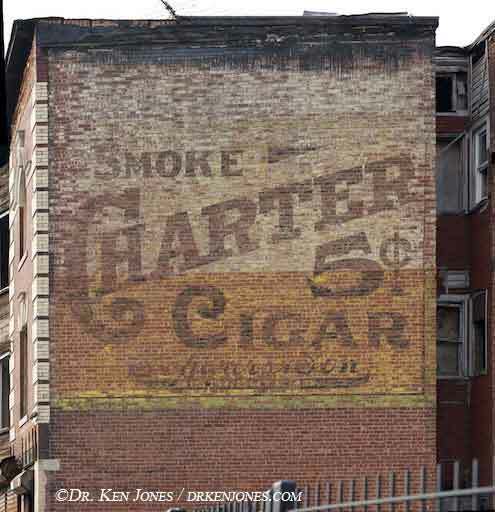 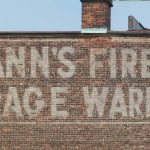 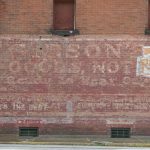 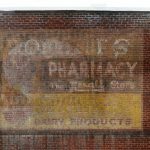 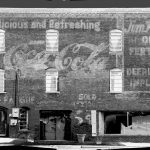 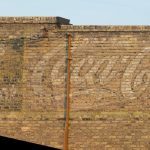 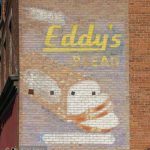 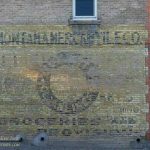 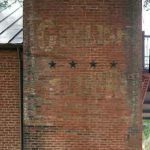 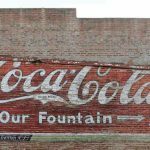 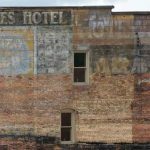 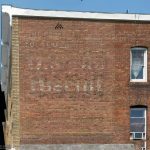 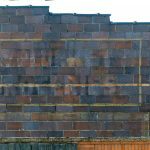 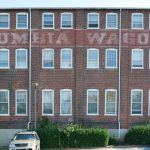 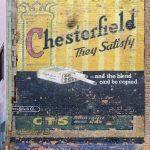 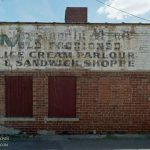 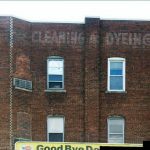 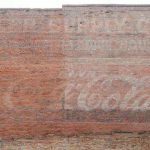 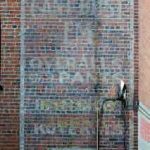 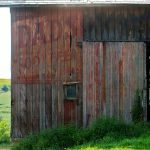 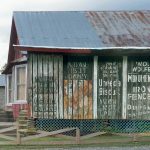 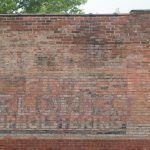 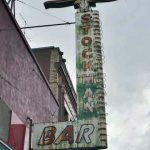 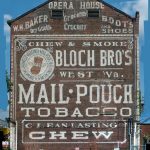 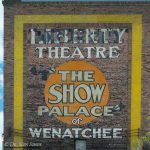 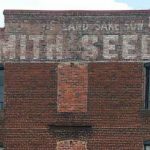 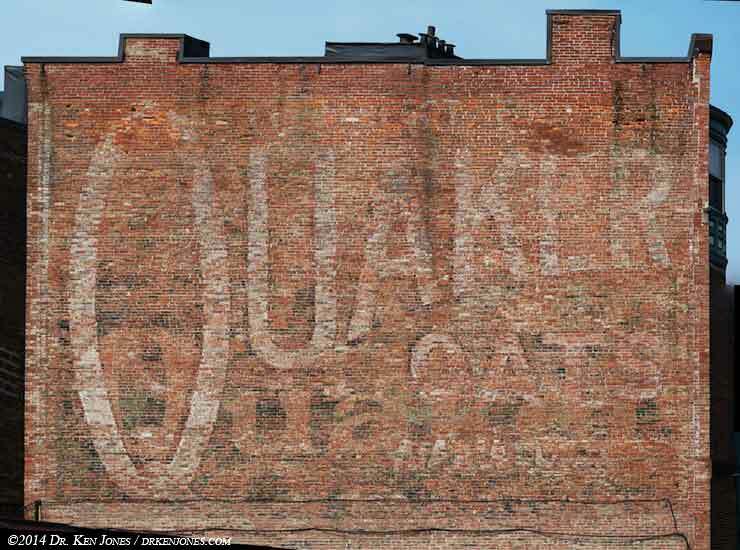 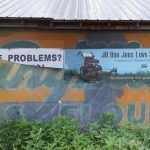 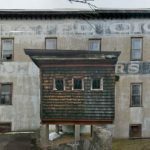 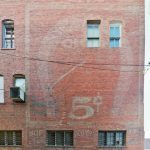 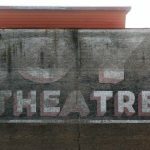 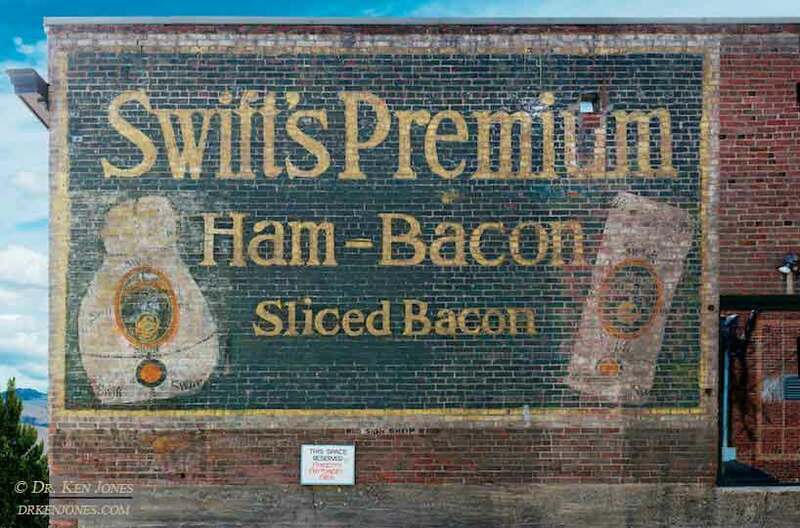 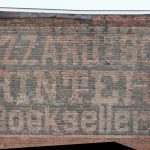 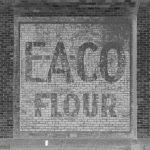 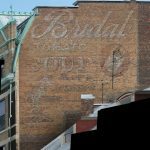 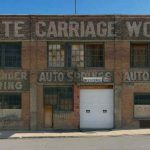 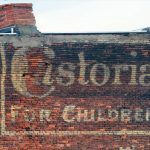 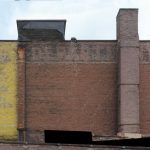 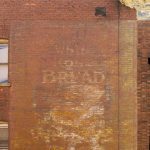 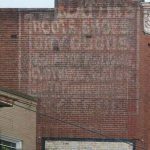 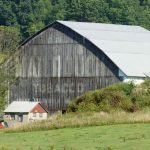 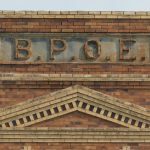 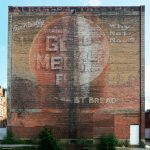 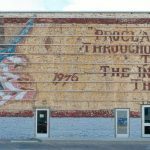 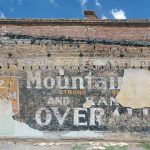 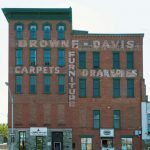 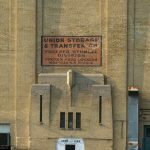 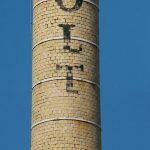 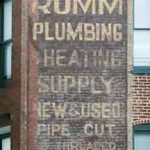 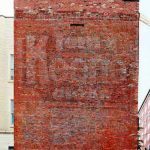 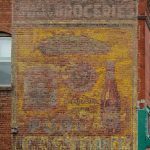 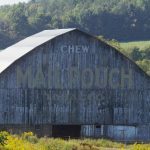 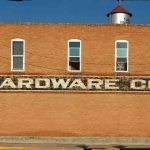 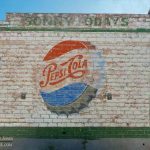 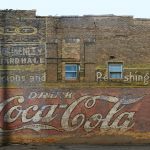 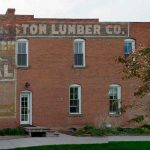 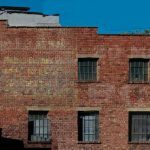 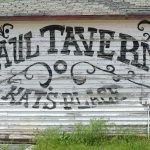 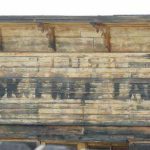 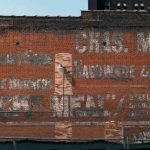 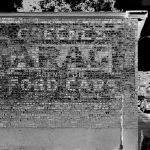 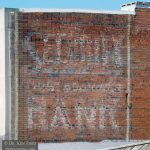 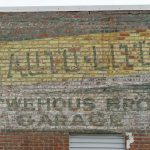 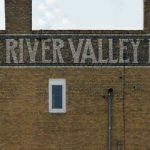 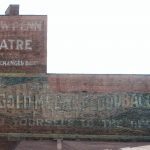 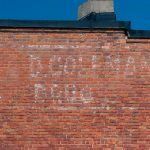 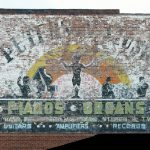 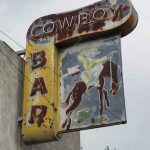 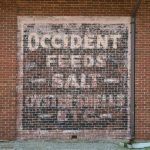 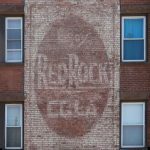 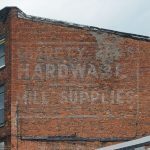 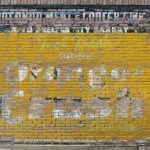 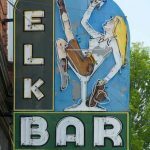 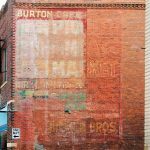 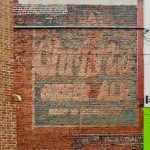 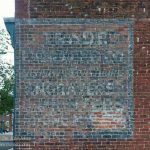 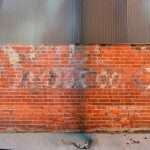 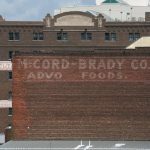 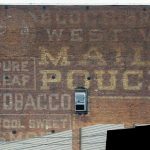 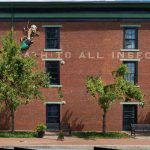 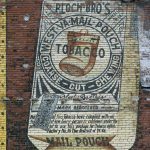 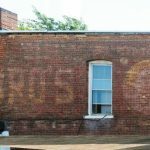 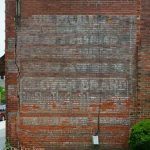 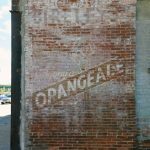 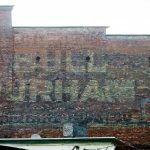 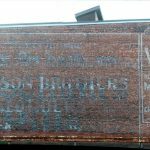 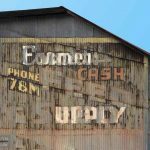 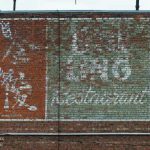 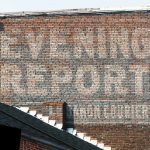 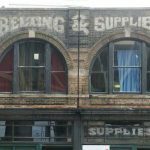 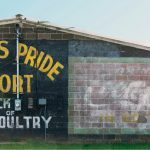 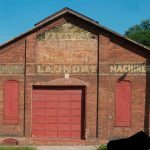 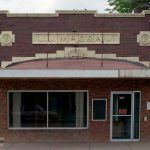 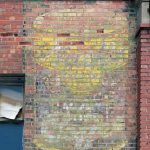 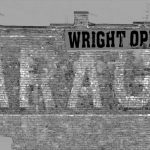 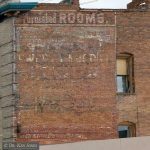 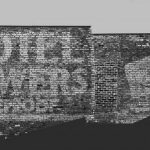 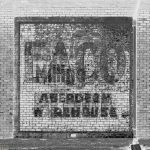 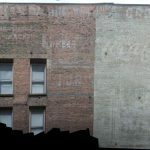 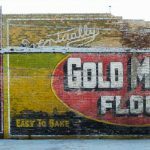 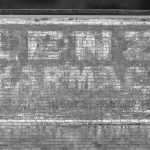 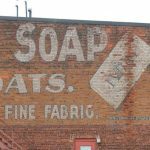 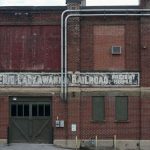 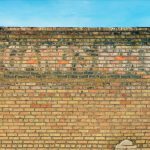 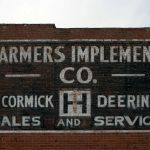 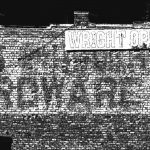 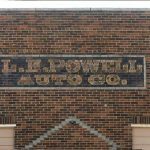 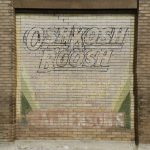 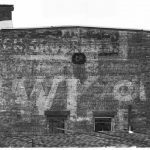 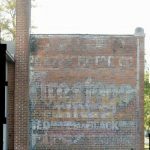 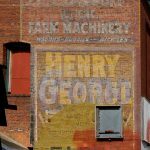 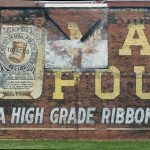 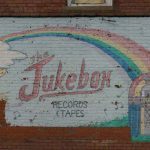 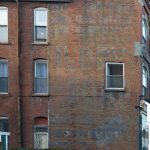 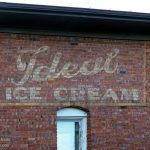 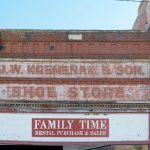 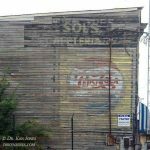 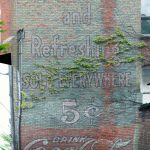 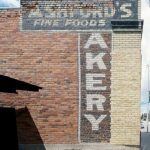 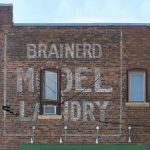 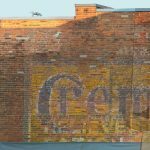 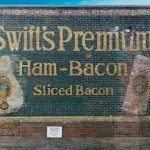 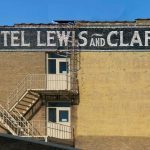 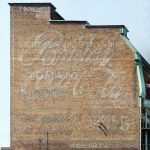 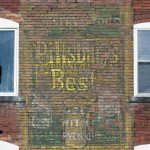 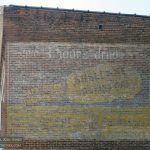 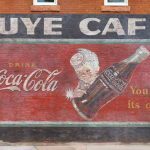 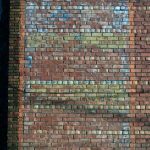 Here are example of some of the best ghost signs that are no longer with us.